Äntligen! (Swedish—my native tongue—for “Finally!”) Last week, the Royal Swedish Academy of Sciences awarded the Nobel Prize in Economic Sciences to William Nordhaus for his pioneering work on “integrated assessment modeling” (IAM) – a framework which has made it possible to analyze the interplay between the economy and climate change, and the consequences of climate policies. And while the recognition of Nordhaus’ achievements is an encouraging sign that mainstream economics is starting to recognize the important contributions of environmental economics to the field, it’s critical that economists continue to build on and strengthen the research Nordhaus initiated. Nordhaus started his research – in what was to become the now very active and expanding field of climate economics – already in the 1970s. His fundamental contribution came in the early 1990s when he introduced his Dynamic Integrated model of Climate and the Economy (DICE), which became the foundational framework for the IAMs used today by the Intergovernmental Panel on Climate Change (IPCC) as well as by an Interagency Working Group to develop estimates of the Social Cost of Greenhouse Gas Emissions during the Obama Administration. 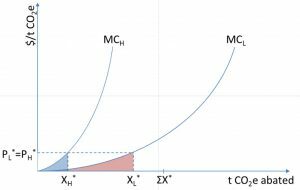 The novelty of DICE was the integration of findings across disparate disciplines including physics, chemistry, and economics to model the link between economic activity and carbon emissions, leading to higher atmospheric carbon concentration and related higher global average temperatures. Furthermore, his model linked this increase in average temperature to economic damages. 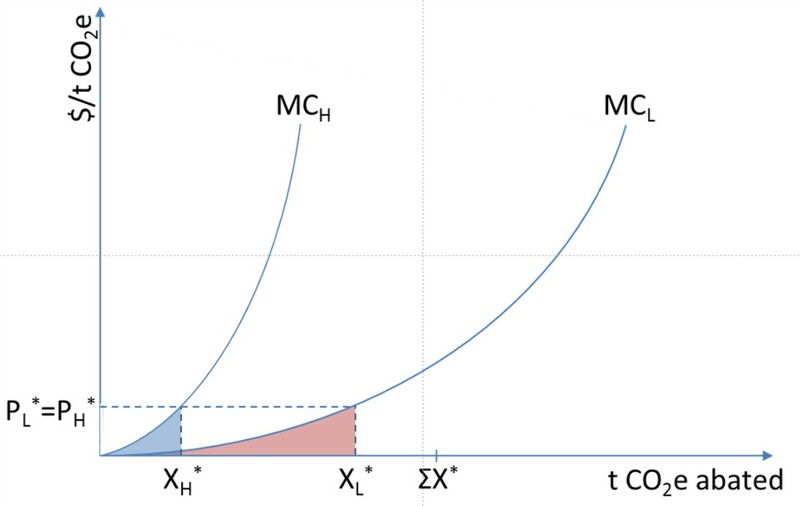 This integrated framework laid out the principles for estimating the damaging impacts of greenhouse gas emissions (GHGs) on human welfare, and could therefore be used to calculate the social cost of greenhouse gas emissions and to study the consequences of climate policy interventions such as carbon pricing. In awarding him the Nobel Prize, The Royal Swedish Academy of Sciences recognized Nordhaus’ research as a methodological breakthrough and critical step forward – but one which does “not provide final answers.” While DICE, an acronym which nods to the perilous game we’re playing with the planet, laid the groundwork for the development of robust estimates of the social cost of GHGs by the Interagency Working Group (which experts agree reflect a lower bound), his research has also served to highlight how newer and ongoing research can further strengthen these estimates. Incorporating more of the many non-market health and environmental impacts which are still omitted in IAMs by constructing more detailed damage functions (the assumed relationship between climatic changes and economic damages) founded in empirical studies of climate impacts using real-world data and taking into account that the value of environmental assets relative to other goods and services may increase as they suffer a larger share of the damages from climate change. Strengthening how inter- and intra-generational equity is taken into account. The highly influential Stern Review commissioned by the UK government in 2005 argued persuasively that Nordhaus put too little weight (through his choice of parameter values related to the discount rate) on the welfare of future generations which resulted in lower estimates of economic damages, and spurred an academic debate leading to recommendations that governments instead use declining discount rates when evaluating public projects and policies with long term impacts. Climate change will impact different regions of the world very differently, with poorer regions generally hit worse than richer parts of the world. How well economists represent the spatial distribution of damages across regions of the world and the functional form and parameter values they choose for weighting differences in such damages significantly impact estimates of the social cost of greenhouse gas emissions. Strengthening the way IAMs deal with risk and uncertainty – an inherently crucial element in any analyses of climate change – and the representation of so-called “tipping points” beyond which damages accelerate or become irreversible. 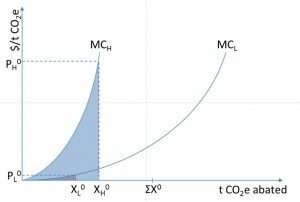 This more recent research shows that such model enhancements also significantly increase estimates of the social cost of greenhouse gases, and underscore the vital importance of drastically reducing GHG emissions to insure against high‐temperature catastrophic climate risks. Nordhaus shares the Nobel Prize with Paul Romer, who is separately awarded for integrating technological innovations into long-run macroeconomic analysis and his analyses of how markets develop new technologies. This is a very appropriate choice considering the importance of technological change for addressing climate change and gives this year’s prize the common theme of how to achieve both sustained and sustainable economic growth. 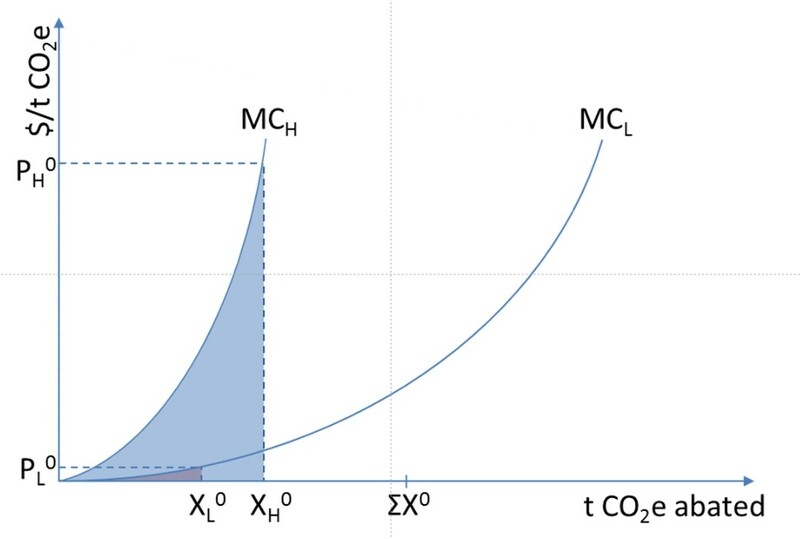 It is extremely timely that the Nobel Prize in Economics to Nordhaus’ work highlighting the critical role of carbon pricing and Romer’s work on the importance of technological innovation for long-run welfare was announced on the same day as the IPCC released its special report on the impacts of global warming of 1.5 °C showing the urgency of addressing climate change, and how both carbon pricing as well as technological innovation and diffusion have important roles to play.